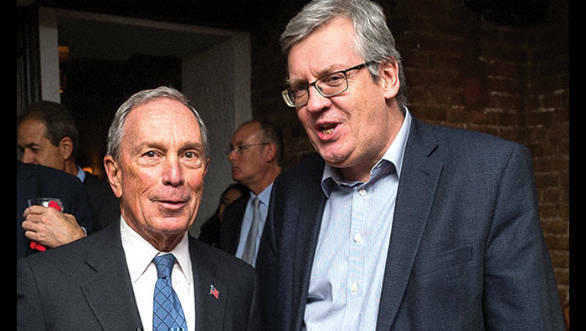 Michael Bloomberg, the founder of Bloomberg Philanthropies and the World Health Organisations (WHO) global ambassador for non-communicable diseases, has urged automakers and governments to adopt stringent measures and commit to auto safety. In a report that was published at the 25th International Technical Conference on the Enhanced Safety of Vehicles in Detroit, Bloomberg revealed shocking statistics with regards to accident-related fatalities around the world, most of which is a direct consequence of the double standards adopted by a number of vehicles manufacturers. Each year, 1.3 million people lose their lives in car crashes and injure up to 50 million. 90 per cent of the crash fatalities occur in low- to middle-income countries, or developing nations as they are usually called, which includes India too. These results were presented by the WHO. Bloomberg's report highlights the poor safety standards that are set by developing nations which is what allows carmakers to sell substandard and unsafe cars in these regions. For most carmakers, who apparently lack conscience, selling cars that are virtual death traps is a means to earn maximum profits. And the list includes carmakers from the US and Europe. For instance, the Chevrolet Spark is quite a popular car in Mexico; however, it score zero out of possible five stars during crash tests. The same car that's sold in the US meets the maximum safety requirement. Why? Because of the stringent laws in the US, selling cars with zero stars is illegal. For perspective, zero stars indicates that the passengers have no chance of survival, whereas a five-star rating means the occupants could pretty much walk away from the crash. The story is grim in India too. 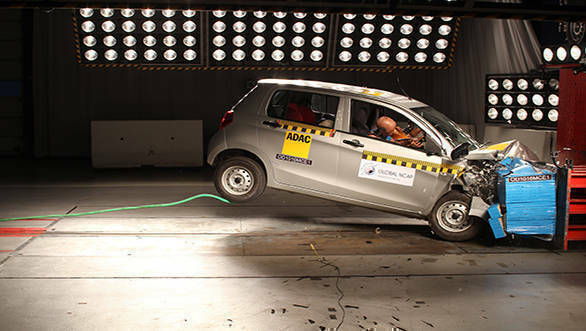 Considered as one of fastest growing car markets in the world, India, sadly, has archaic safety regulations in place. So while most manufacturers get away by stating that their cars meet the minimum safety norms that are applicable in the country, they are basically passing the buck. Major international manufacturers such as General Motors, Hyundai, Renault-Nissan, Maruti Suzuki and Tata are all selling zero-star cars in the country, with zero accountability for the lives that are lost in accidents involving their cars. Last year, over 6,00,000 zero-star cars were sold in India. The figure includes one of the bestsellers for years, the Maruti Suzuki Alto. It's to be noted at this point that merely adding airbags does not help if the car's structure itself is not crash-worthy. 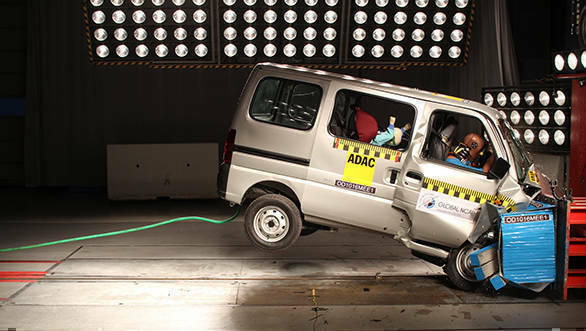 In fact, crash test agencies have repeatedly pointed out that many Indian cars lack the structural integrity to absorb impacts. 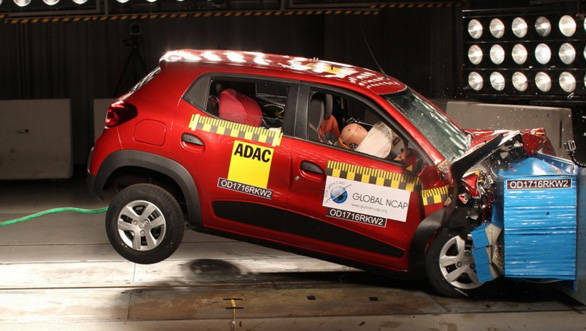 Case in point is the Global NCAP crash test of the Renault Kwid. The initial specimen that was tested did not have airbags, which led to it scoring zero stars. The results also pointed out that the passenger compartment collapsed owing to poor structural integrity. Renault then updated the Kwid and added seat belt pretensioners and an airbag, which helped it earn a single star. The testers also noted the passenger compartment did not deform, which was the case with the first specimen. Also, if you think that it's only the small cars that suffer, bigger vehicles, which are for some reasons considered safer by Indians, also scored poorly in crash tests. 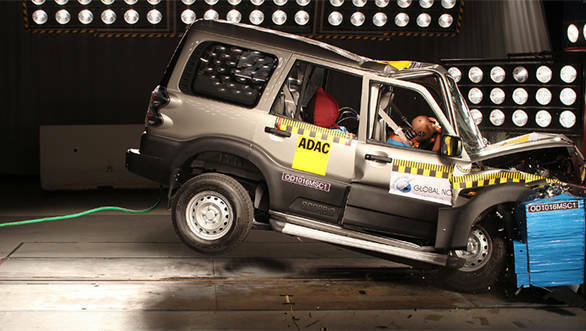 The Mahindra Scorpio, for instance, failed miserably and the body was deemed unstable in the crash. 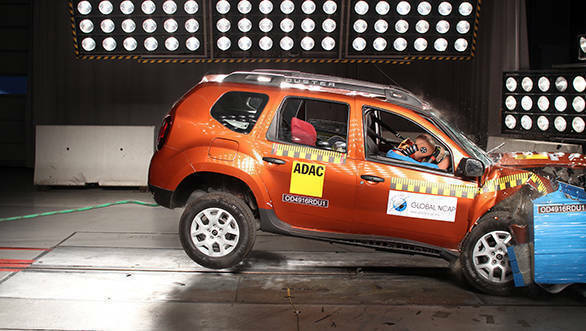 Recently, the Renault Duster, a popular vehicle in India, too scored zero stars since the non-airbag variant offered little protection to its passengers. Automakers may argue that adopting these poor safety standards and skimping on basic safety systems like airbags allows them to price their products at a lower price point. But that's not the case. The cost of basic safety systems, in fact, is so low that it can easily be incorporated without affecting profitability. Two airbags costs roughly Rs 6,500. Now consider the economies of scale, say of a carmaker with volumes as high as Maruti Suzuki's and it's easy to understand what's being said in the above sentences. Carmakers in India, at least, have said that their cars meet government stipulated requirements, which indicates the root of the problem. Bloomberg's report suggests that governments should to create and enforce better vehicle standards. Spreading consumer awareness too is key in helping consumers make informed decisions. Bloomberg has stated this ignorance of safety standards by automakers and governments is a major public health crisis that has not got the attention it deserves. The report further adds that if a car crashes and the resultant fatalities were like an infectious disease, like malaria or polio, governments and other organisations would invest money and energy to prevent it. That would go a long way in ensuring that millions of lives are saved and families of those involved in accidents do not need to suffer the pain of losing their near and dear ones, just because the car lacked basic safety features. As far as the Indian market is concerned, it is about time the government and carmakers realise the worth of an Indian's life. Watch the video below to get a deeper understanding of the sorry state of affairs when it comes to automobile safety.